Nitro Helmets joined the international motorcycle scene at the start of the Millennium and turned the helmet market on its head forever. Company founder George Lloyd, already a successful name within the motor industry for over 50 years, saw the opportunity in a market dominated by expensive brand names. Within years of the inception Nitro® had sold over 5 million helmets into 60 countries worldwide based on this value philosophy – high end specifications and features of the market leaders but at affordable prices everyday bikers and enthusiasts wanted. Today the brand continues this trajectory offering a wide collection of products based on this founding principle. 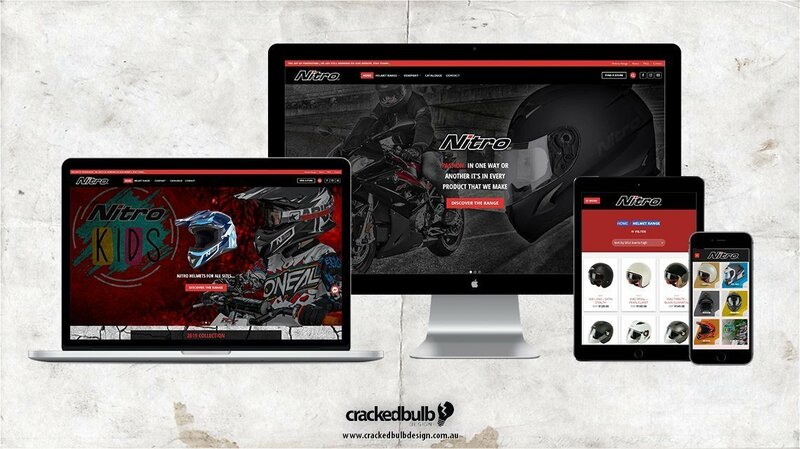 A big thanks to Nitro Helmets Australia for giving Cracked Bulb Design the opportunity to design their website.